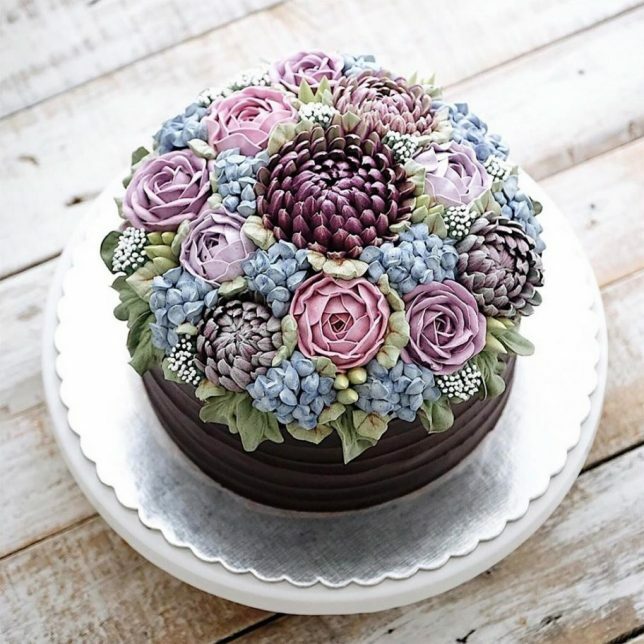 Just like the dull rocks that often reveal geode formations in nature, one would not expect to find such a sweet surprise inside what look a bit like giant Easter eggs (or perhaps dinosaur droppings). 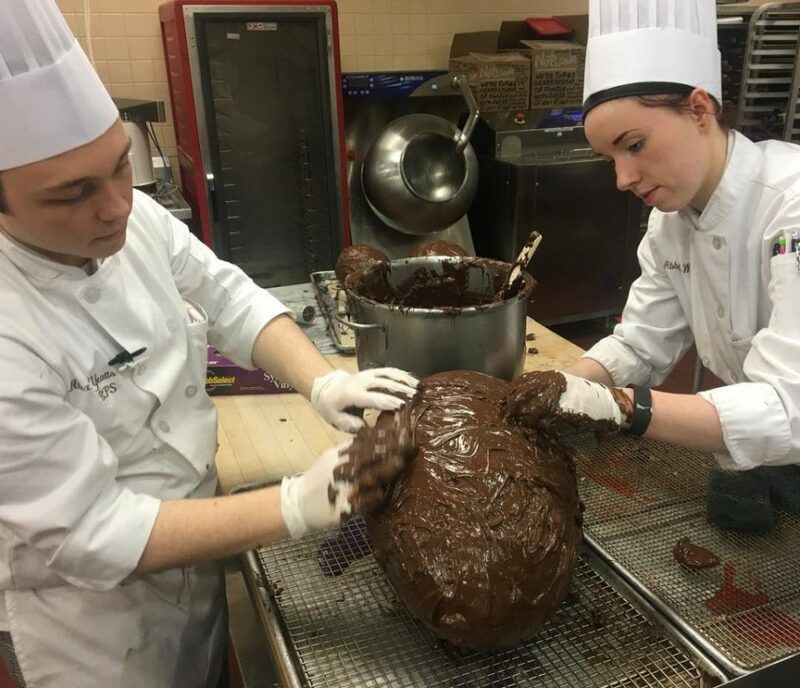 As a final thesis project for the Culinary Institute of America in New York, Alex Yeatts and Abby Lee Wilcox spent months crafting these monstrous treats. 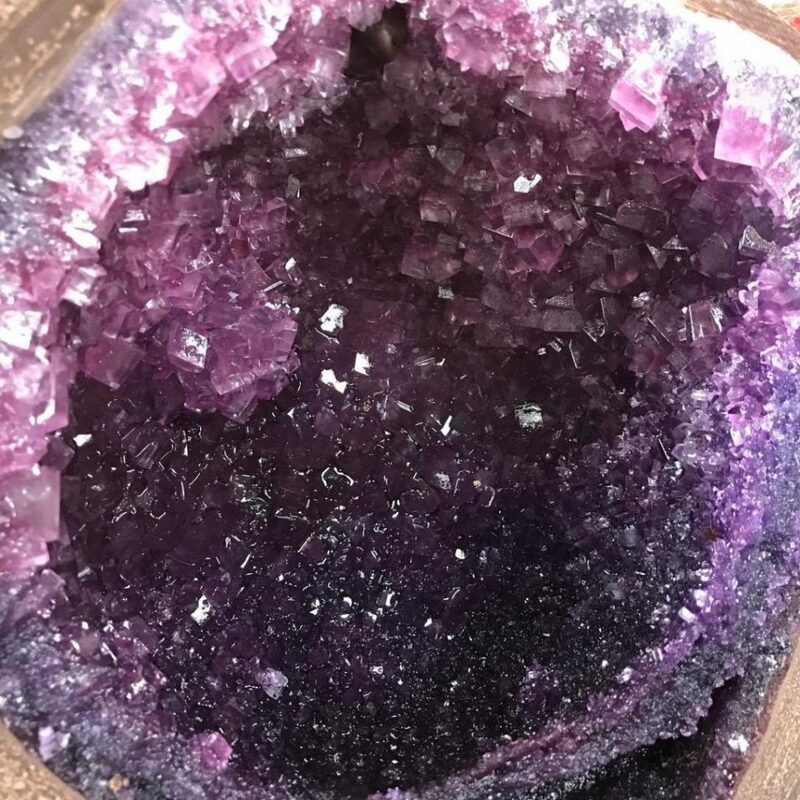 Orange-red and purple crystals inside look remarkably natural, particularly the latter (resembling typical amethysts). 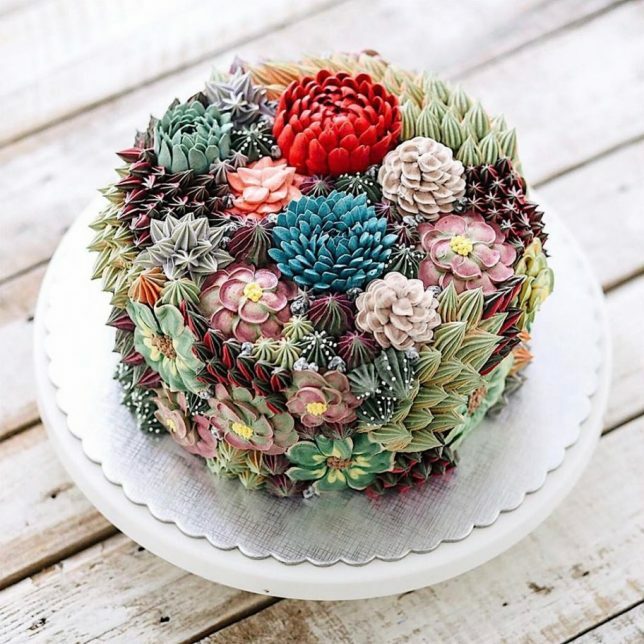 While hardly healthy, one could imagine subsisting on these gigantic desserts indefinitely. 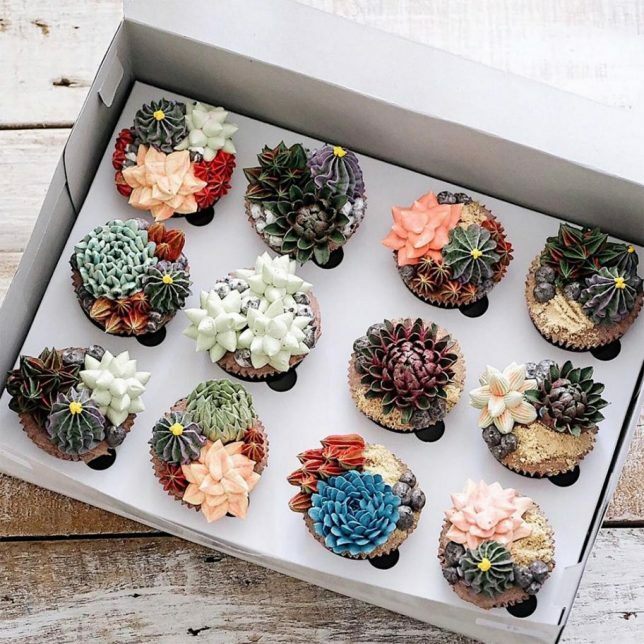 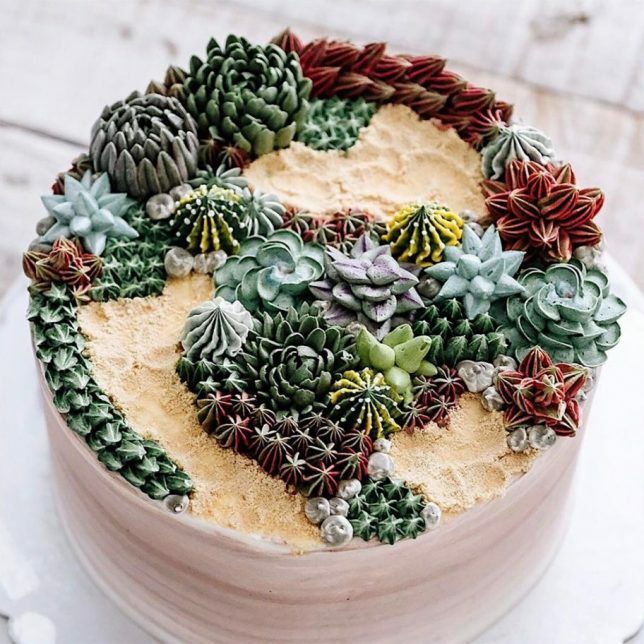 In a similar vein (treats imitating nature), the “flower cakes” (and cupcakes) of Iven Kawi are stunning works of culinary art, so lifelike one could imagine being pricked by the needles on cacti or grind one’s teeth on the sandy landscapes (via Colossal).